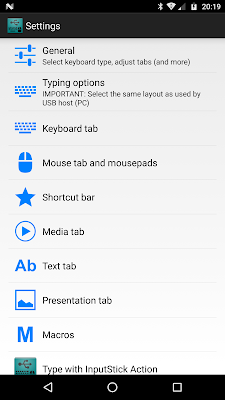 New, globally accessible Shortcut Bar allows you to quickly execute your favorite macros, keyboard shortcuts, multimedia actions, type text from clipboard, connect, disconnect and open app settings. 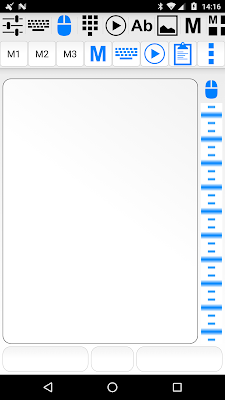 All with just two clicks. 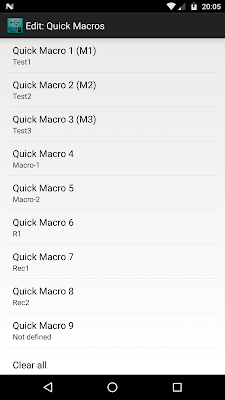 Quick Macros 1, 2 and 3 have individual buttons (M1, M2, M3) - can be executed with just a single click. 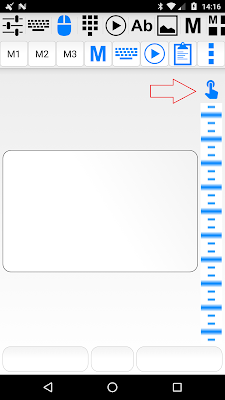 You can see Shortcut bar just below tab bar. 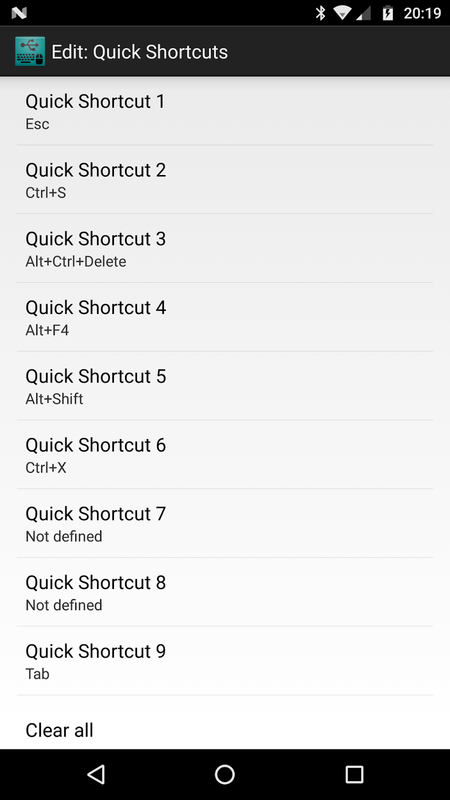 To configure Quick Shortcuts and Quick Macros go to Settings → Shortcut Bar. 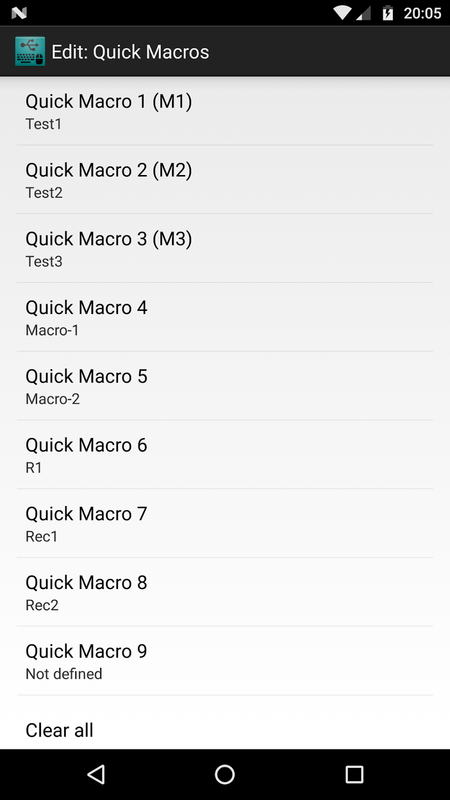 Assign macros to Quick Macro slots. 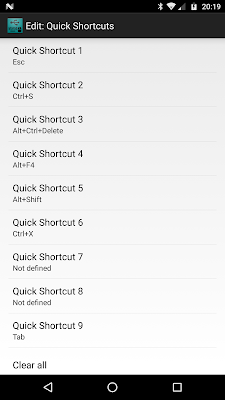 Assign keyboard shortcuts to Quick Shortcut slots. 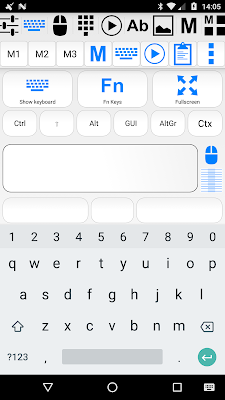 System keyboard screen and its full-screen version were slightly redesigned. 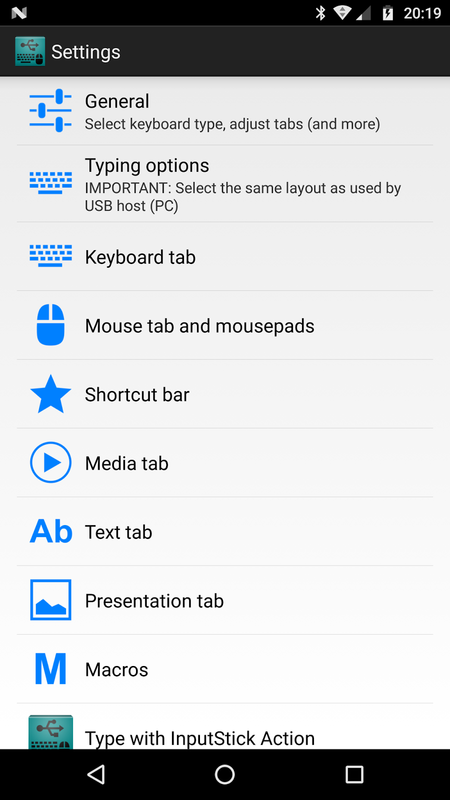 You can now quickly switch between mouse and touchscreen modes by clicking a button next to mousepad area. When in touchscreen mode, click button above scroll bar to switch to mouse mode. Now mouse mode is enabled. 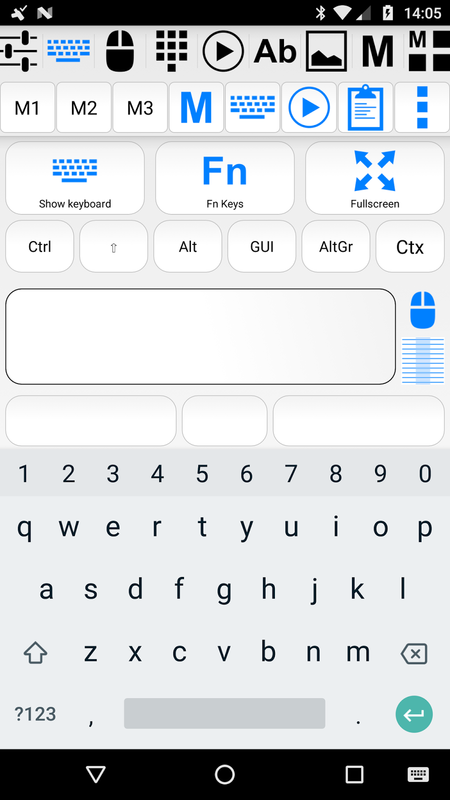 App settings were slightly redesigned: new sections were added: Typing options, Keyboard tab, Shortcut bar. 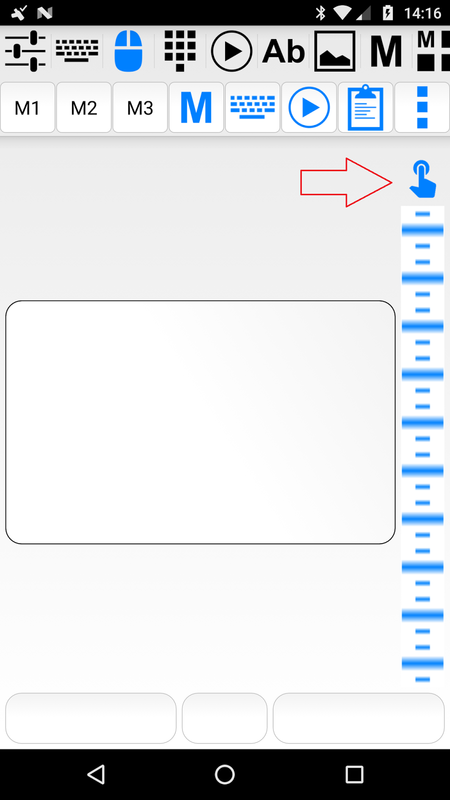 Some preferences were moved from old sections to new ones. 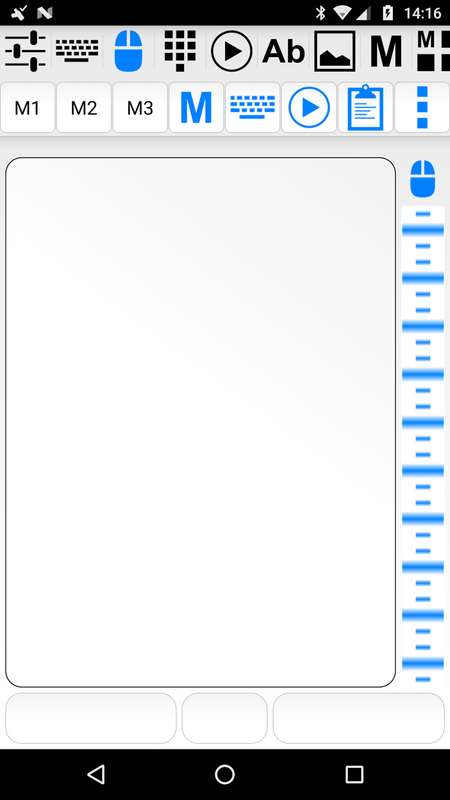 This option did not work properly on many devices so it was removed. It is necessary that you allow the application to access local storage.